Knowing how to drive on iced-over roads is an big part of safe winter driving. Prepare in advance, check your tires, and drive slowly to drive on ice. One of the scariest aspects of owning a car is driving in adverse weather conditions. No matter how new your car is, how great the safety features are, and how many miles you’ve safely spent behind the wheel, chances are you get at least a tiny bit uncomfortable when the weather gets bad. And no weather is scarier for drivers than ice, which can be hard to see and very unpredictable. Icy roads are hard to drive on for a few reasons, but primarily because they make the roads slippery and limit how much traction your tires can get. As long as you take the right precautions, you can be a very safe driver in the ice. Unfortunately, that doesn’t always apply to your fellow drivers, so when it's very icy out, it’s safest to stay inside as much as you can. That said, if you follow these guidelines, you’ll have very little to worry about when driving on icy roads. Step 1: Leave yourself plenty of time. Leave for places early so that you have plenty of time. One of the biggest dangers for drivers is being late. When people are late they hurry, and hurrying is one of the worst things you can do while driving. You should always leave yourself plenty of time to get where you’re going, but that’s especially true on icy roads, when it is extra dangerous to be in a rush. Icy roads are also more likely to have stoppages due to accidents or closed roads, so you never know when you might get delayed on the road. Warning: If you forget to leave yourself extra time when driving on icy roads, try to let wherever you’re going know that you’ll be late, so that you don’t have to rush on slippery roads. Step 2: Warm up your car. Let your car warm up for at least five minutes before driving. If the roads are icy, then the temperature has been low enough to freeze things. Those things include aspects of your car. While your car will still work in freezing weather, frozen brakes, lines, and pumps will be less effective. Turn on your vehicle at least five minutes before you plan on driving. This will give the car plenty of time to get warmed up so that it can operate correctly and safely when you’re driving. Step 3: Scrape off any ice. Scrape off any ice that may impact your visibility. 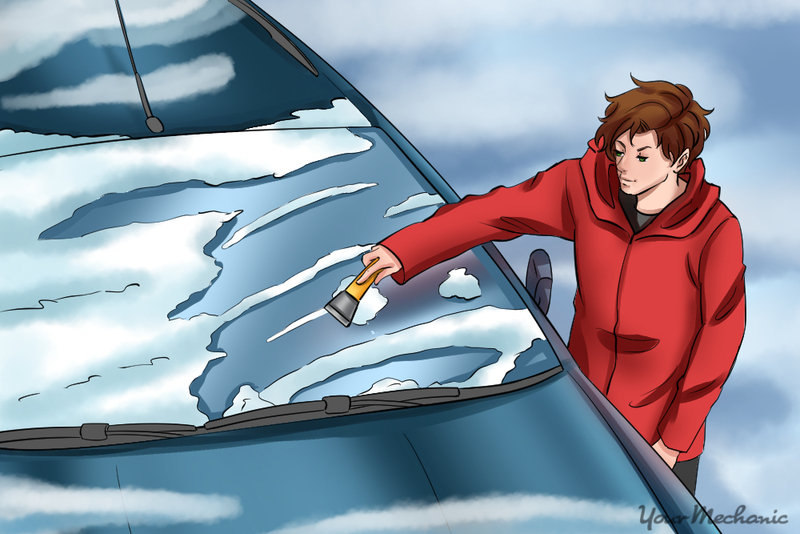 While you wait for your vehicle to warm up, scrape the ice off of it. Ice on the windshield, windows, and side view mirrors can impair your visibility while you’re driving. Step 4: Stick to main roads. Use only popular roads if possible. When the roads are icy is not the time to take your favorite backroad. Instead, you want to use main roads that have a decent amount of drivers on them. Roads with more drivers are much more likely to have seen snow plows or salt trucks, which makes them far safer to drive on. Even if they haven’t been plowed or salted, the ice on these roads will be less severe because the heat from other vehicles will have started to thaw it. In the event that you lose control of your vehicle and slide off of the road, you will want to be on a popular road so that someone sees you and can assist you. Step 5: Pack an emergency kit. Make sure that an emergency kit is packed in your car. You don’t want to be helplessly stuck in freezing weather, so don’t leave the house unless you have a good emergency kit packed in your car. It’s especially important to pack jumper cables, so if your car breaks down and is unable to keep you heated, you can get it started again as soon as possible. In addition to an emergency kit, you should never drive on icy roads without a cell phone. Remember that even if you don’t have cell phone service, your phone should be able to pick up the emergency networks so you can dial 911 if you’ve been in an accident or broken down. Tip: In addition to a standard emergency kit, it’s a good idea to keep a blanket in the trunk of your car when the weather is bad. Step 1: Pay attention to your tires. Always make sure your tires are ready for ice. When you’re driving on ice, your tires are the most important part of your car. Make sure that your tires are either new, or like new, before driving on ice. 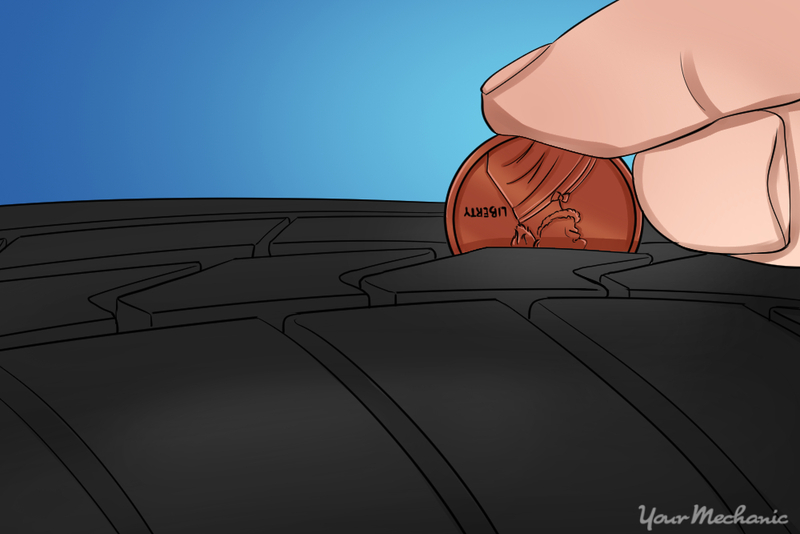 They should always have plenty of tread on them when the weather is cold, which you can check by seeing if the tread covers Lincoln’s head on a penny. If you experience a lot of ice on the roads where you live, you should consider getting winter tires or possibly even snow chains. Tip: When the roads are icy, it’s especially important to make sure that your tires are always properly inflated. Cold weather will naturally deflate tires, so try and check your tires before every drive on icy roads. Step 2: Have routine maintenance. Make sure to have routine maintenance and inspections performed on your vehicle. A malfunctioning vehicle is even more dangerous on icy roads than on dry ones. Make sure to have routine safety inspections from a reputable mechanic, such as the ones at YourMechanic. Step 1: Slow down. Drive at a much slower speed than you normally would. It can be easy to lose control of your vehicle when you’re on icy roads. The faster you’re going when you lose control, the more danger you’ll be in. Always travel low and slow when the roads are icy to minimize any dangers. In addition to driving at a slower speed, avoid rapid acceleration. Accelerating quickly makes it difficult for your tires to gain traction, and therefore exacerbates the impact of the ice. Tip: A good rule of thumb for driving in ice is to go half the speed limit. However, if that feels uncomfortable or unsafe, you should drive at a lower speed. Step 2: Avoid slamming on your brakes. Don’t slam on your brakes when you have to stop. It seems counterintuitive, but you don’t want to slam on your brakes when driving on ice. If you do, your brakes will lock up and slide along the ice rather than slowing your car down. If your vehicle has anti-lock brakes (ABS) then you will be better equipped to brake in the ice, but in general you should pump your brakes rather than slamming on them. Step 3: Don’t overcorrect. Try to avoid overcorrecting if you lose control. A large number of icy accidents are caused by drivers who try and overcorrect. When your car begins to slide, it’s natural to sharply turn the steering wheel in the other direction. Unfortunately, this can often make your car swerve and slide dramatically. If you feel your car sliding to one direction, tap the brakes and lightly turn the other way. The most important rule of driving on icy roads is to never push yourself if you’re uncomfortable. If you feel unsafe at any point while driving on icy roads simply pull over, and find a safer way to get where you’re going. 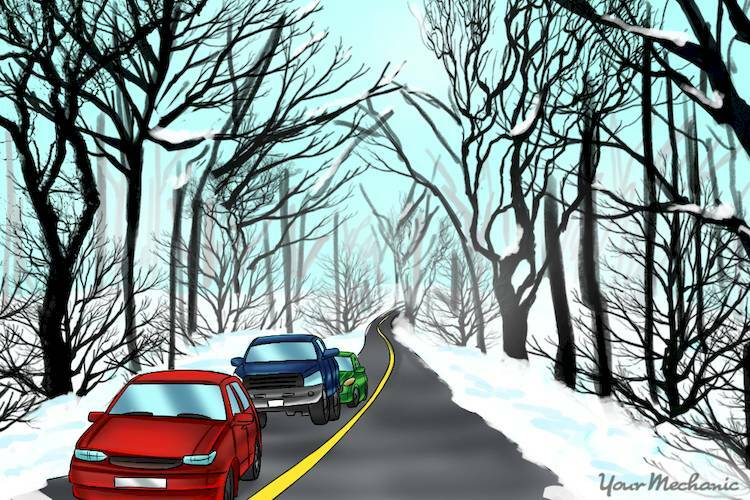 If you do feel safe and you follow these tips, you should have no problems driving on icy roads. If you have any questions about icy driving, be sure to Ask a Mechanic for some helpful advice. Q: How do I secure a child restraint system with the top tether anchors? Q: What safety items should be checked before driving?